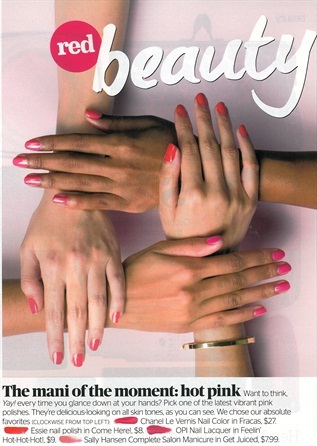 This month, hot pink is considered the go-to color for your client's manicure, according to Redbook Magazine's May 2013 issue. Check out Essie's Come Here! and OPI's Feelin' Hot-Hot-Hot!